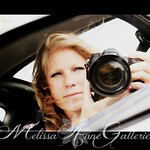 ~With deep thought, I have decided to focus my Portrait work on travel and Stock Photography. With that in mind, I will no longer be photographing , Seniors or Weddings. However, I can refer you to a Professional Photographer in our area. Commercial Stock Photography can be found with a simple click of the link above. My portfolio would not be what it is today without YOU! Thank You to those that believed in me and loved what I do. For that I am grateful.